Back in November, Bumble announced its inaugural Making Moves in Music campaign and contest, aimed at helping close the gender gap for women DJs and producers in a heavily male-dominated industry. We’ve received 500-plus inspiring entries, with each woman vying for the opportunity to perform at one of the biggest festivals of the summer, Mysteryland 2019, taking place right outside of Amsterdam. 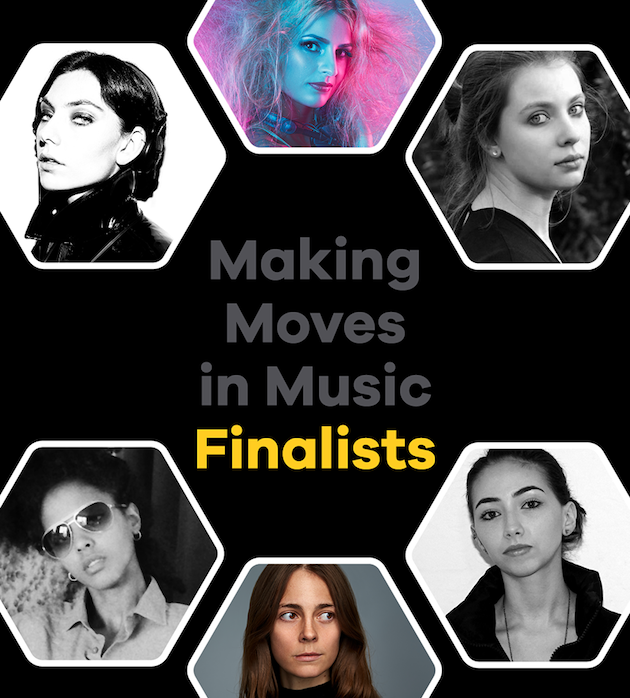 After intense deliberation between Bumble, PR agency The Media Nanny, Dutch music giant ID&T, and record label Astralwerks, we’re thrilled to announce the final six DJs and producers making it through to the next round of our Making Moves in Music initiative. These six will now compete to make it into the final three, attending an intense three-day masterclass and bootcamp in Amsterdam where they’ll be taught valuable skills from industry experts, including how to handle your social media and how to get booked for a gig. At the end of these three days, they’ll be tasked to produce a 45-minute set and play at one of Amsterdam’s top bars. Throughout the weekend, they’ll be observed by an incredible panel of judges, all music industry experts. The final three will be announced the week of 28th February, whereupon they’ll be taken to Los Angeles for three days for a bootcamp with record label Astralwerks, where they’ll be tasked with their ultimate challenge. The winner will be announced in March, then taken to one of the music industry's most recognized events, Miami Music Week. They’ll also be guaranteed a performance at one of ID&Ts biggest summer festivals late this year. Last year, only 19 percent of artists booked across major festivals were women or groups with at least one woman member. This campaign hopes to raise awareness of this imbalance and provide opportunities for women hoping to enter the DJ space, with an ultimate vision of shifting the gender gap on our main stages and at our festivals.